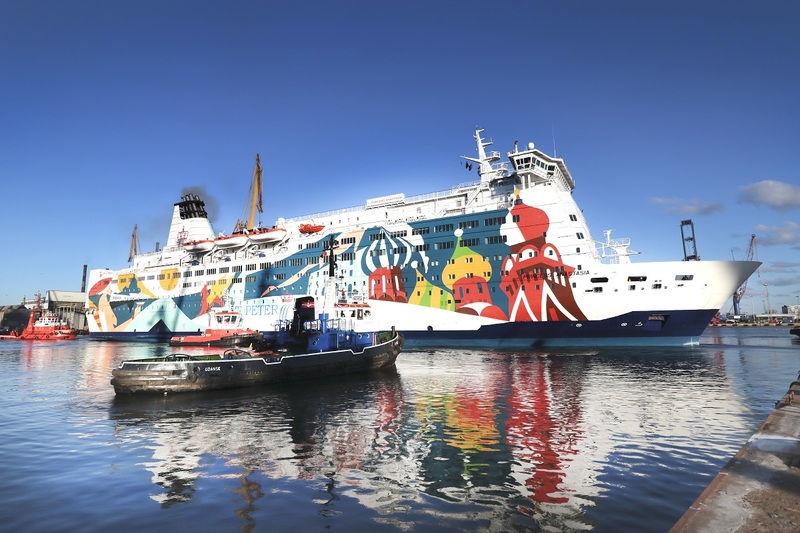 On March 21, after the refurbishment, the passenger and car ferry Princess Anastasia, belonging to Moby SPL, left the Gdańsk based shiprepair yard. This is the first ship of this shipowner at Remontowa SA so far. Princess Anastasia, measuring 176.8 m in length and 32 m in width, has 834 cabins and can take on board 2,500 passengers and over 300 crew members at a time. 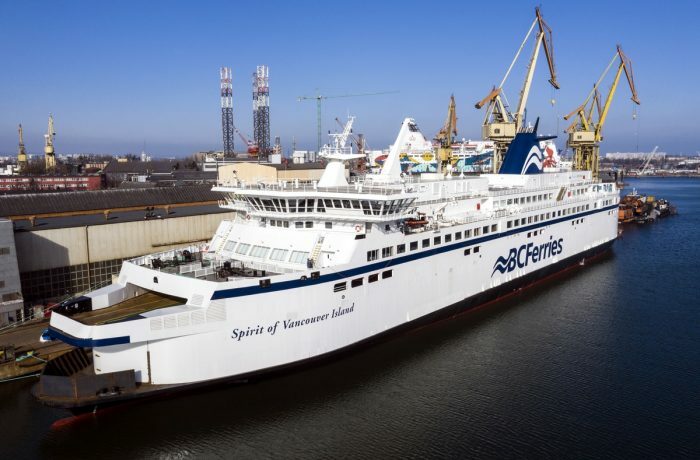 This is just one in a record number of ferries that have been serviced at Remontowa SA over the recent months (with as many as seven ferries at a time recorded twice this passed winter). 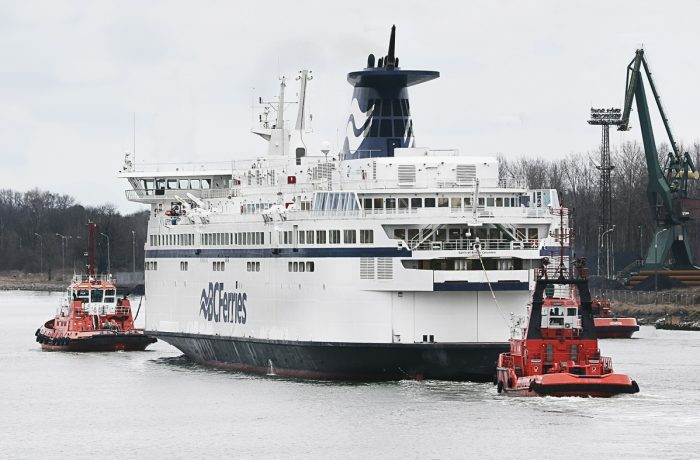 This particular ferry is operated by a joint venture of the Russian shipowner St. Peter Line and the Italian ferry operator Moby Lines from Milan, specializing in transport in the Mediterranean. Both companies created a joint venture called Moby SPL in 2017. The ferry itself, built in 1986 as Olympia, ordered by Viking Line, later known as Pride of Bilbao, sailing in the colors of P&O Ferries, in 2010 was sold by the Irish Continental Group for EUR 37.7 million to the Russian shipowner St. Peter Line. Russian Princess Anastasia, chartered to Moby SPL from April of the same year, serves in cruises on the Baltic Sea, on the St. Petersburg – Helsinki – Tallinn – Stockholm route. Numerous attractions await passengers aboard the Princess Anastasia ferry, among them the specialties of Italian and Mediterranean cuisine. 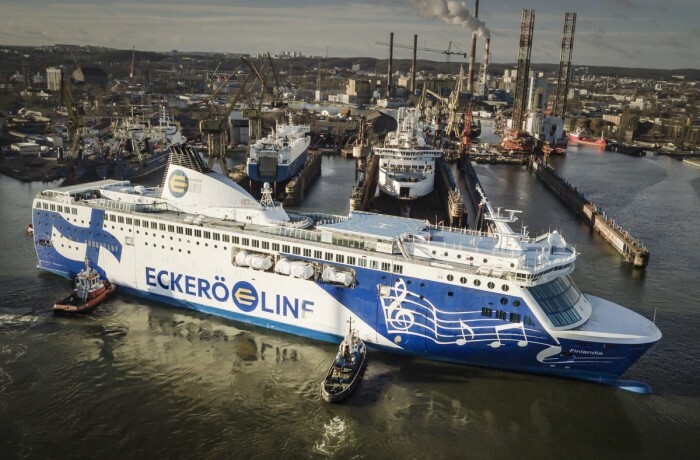 At Gdańsk based Remontowa SA, among a variety of other works, the ferry has mainly undergone a comprehensive renovation of three main engines and two generating sets. The MES (mass evacuation) system has been also replaced.